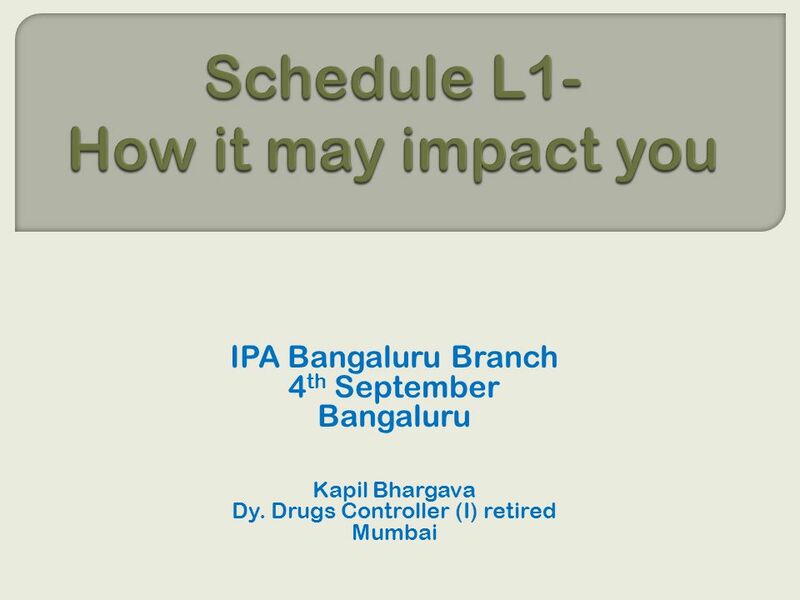 IPA Bangaluru Branch 4 th September Bangaluru Kapil Bhargava Dy. 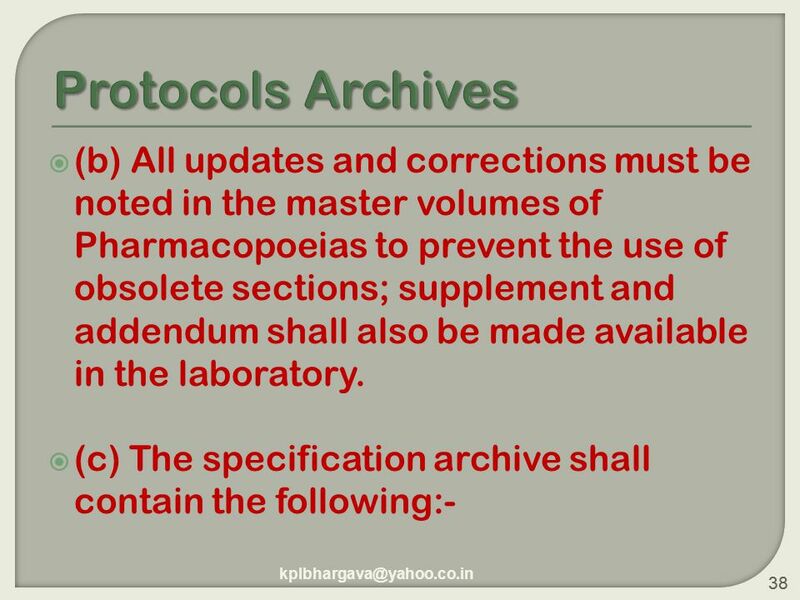 Drugs Controller (I) retired Mumbai. 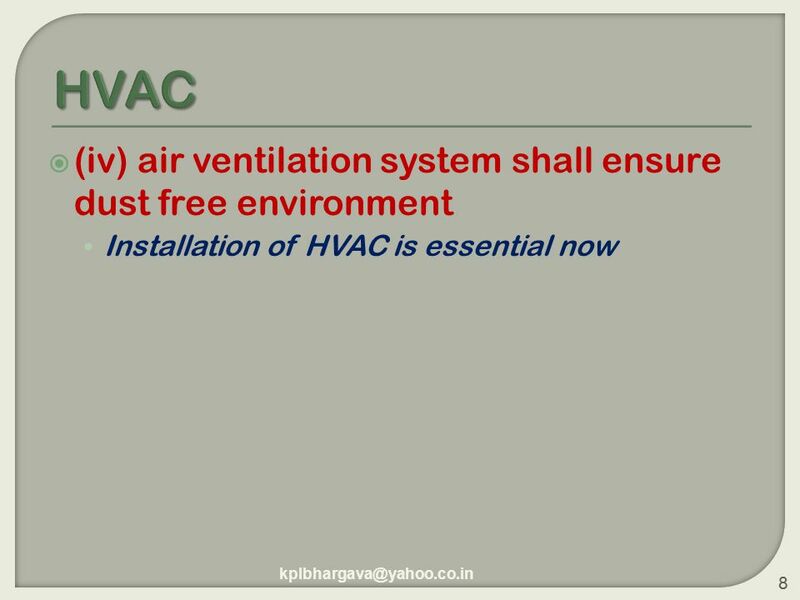 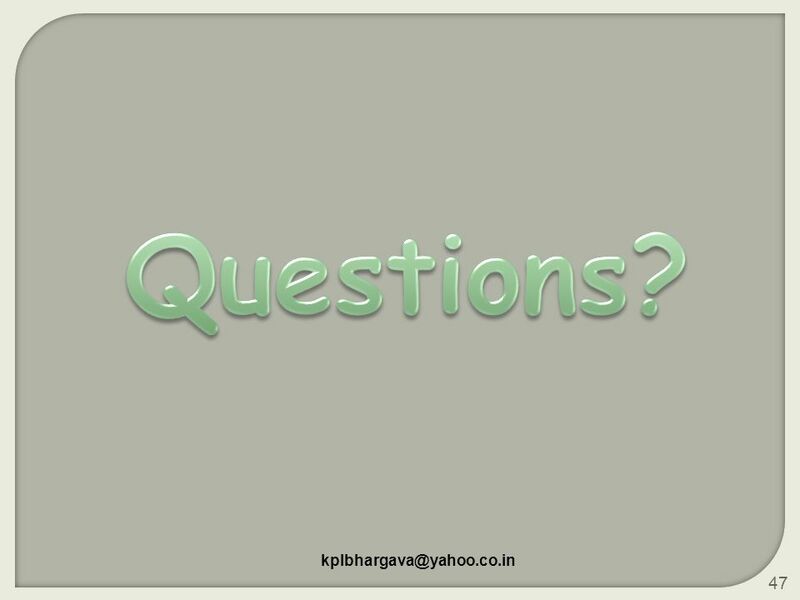 Download ppt "IPA Bangaluru Branch 4 th September Bangaluru Kapil Bhargava Dy. 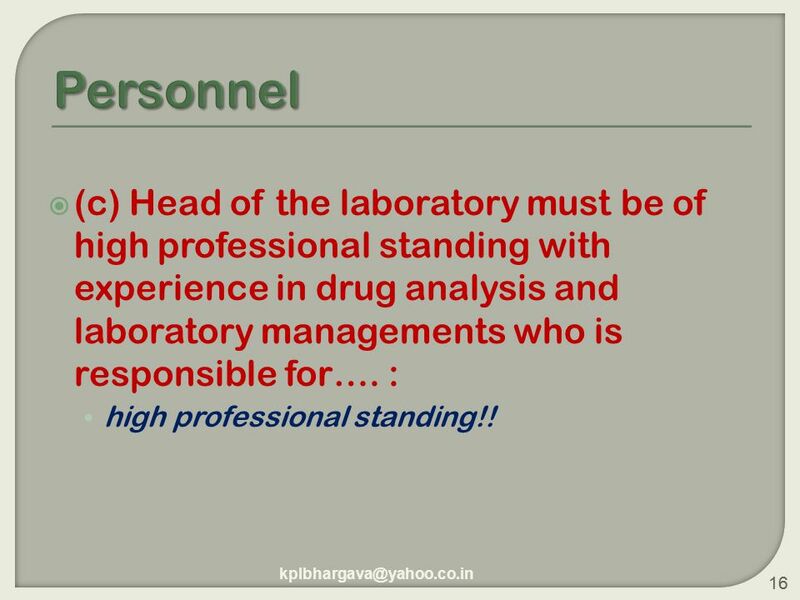 Drugs Controller (I) retired Mumbai." 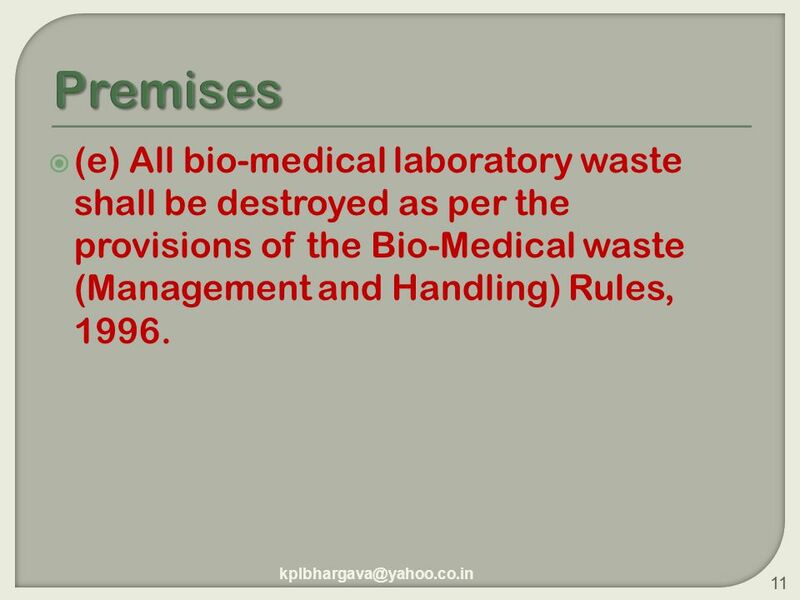 UEMS Advisory Council on Continuing Medical Education Brussels, 1st December 2012. 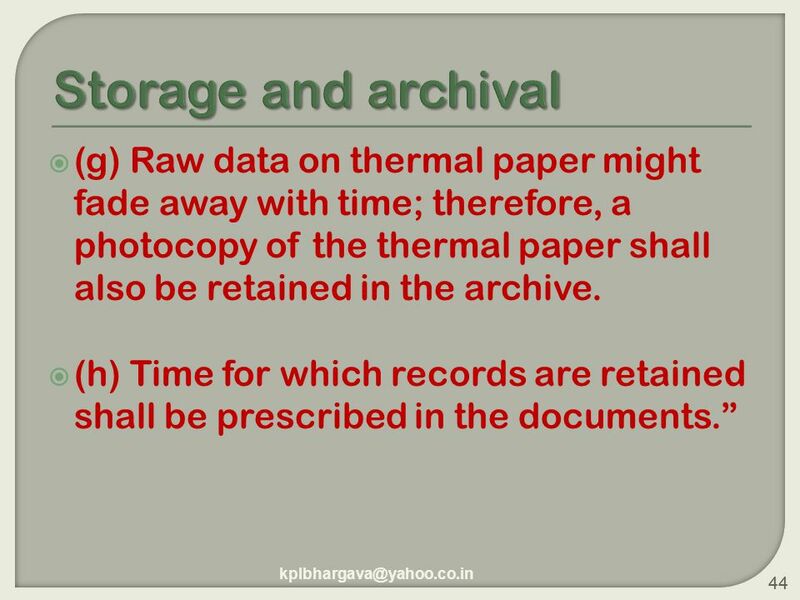 HOT TOPICS ARCHIVING OR HOW NOT TO DUMP YOUR RUBBISH! 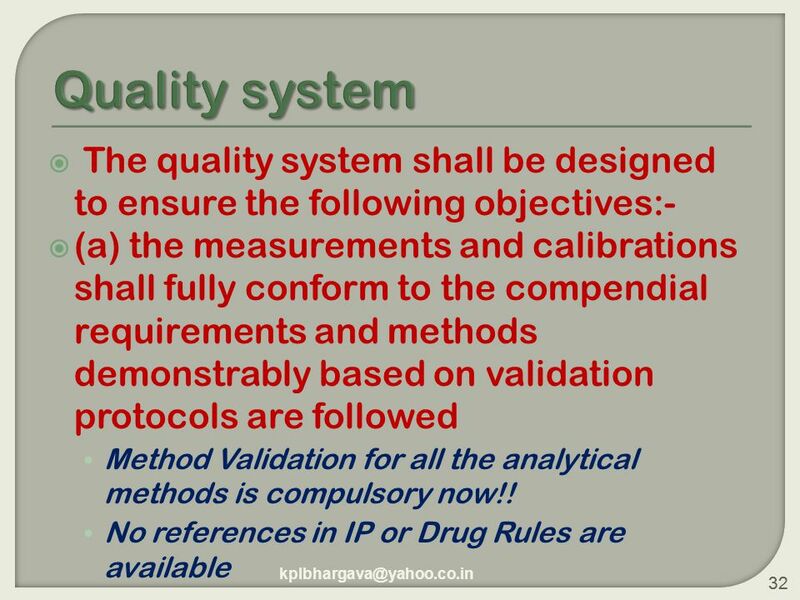 Good Manufacturing Practices Guilin, PRC Dr AJ van Zyl for Quality Assurance and Safety: Medicines Medicines Policy and Standards Health Technology and. 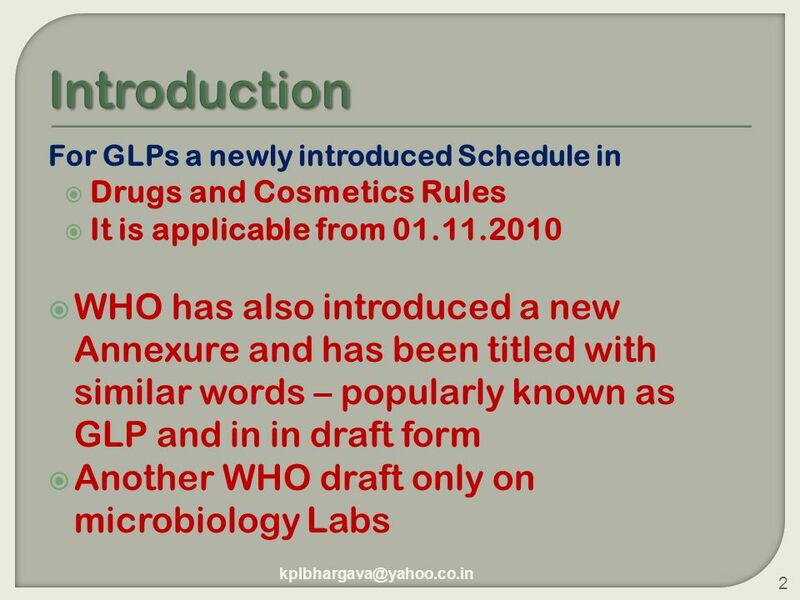 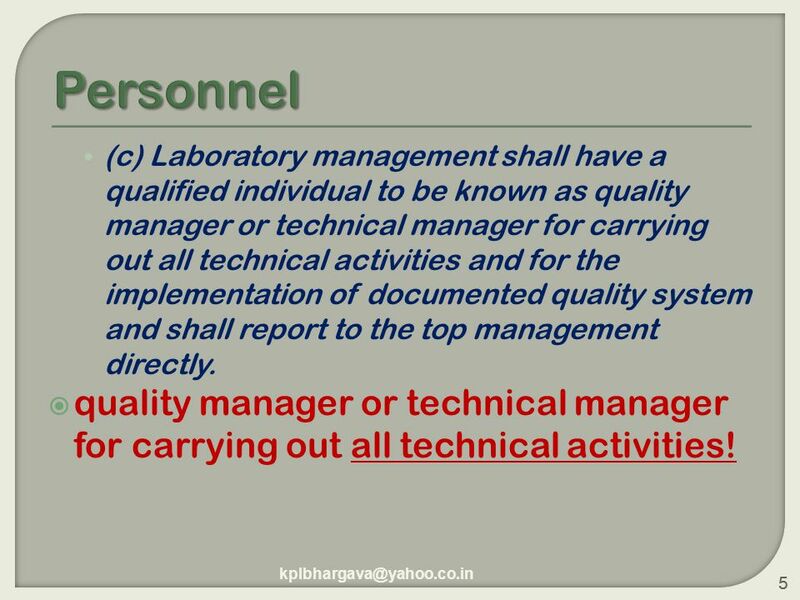 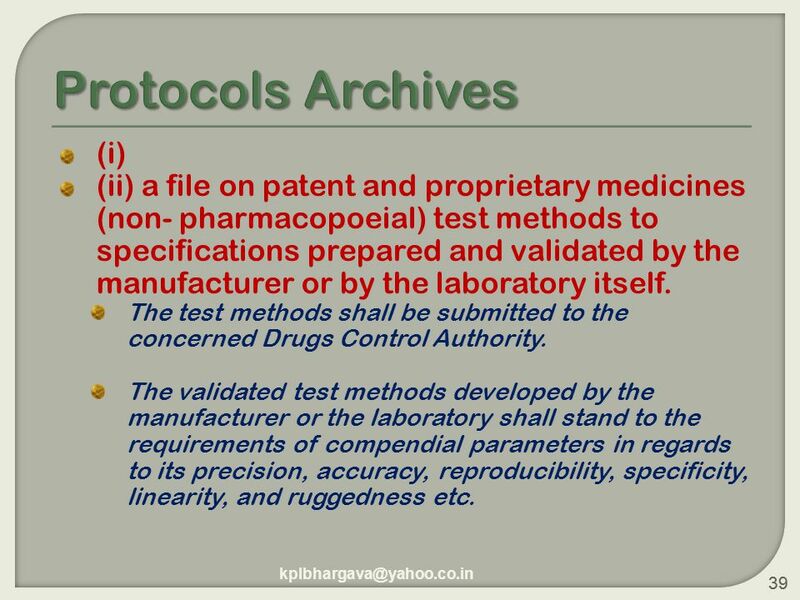 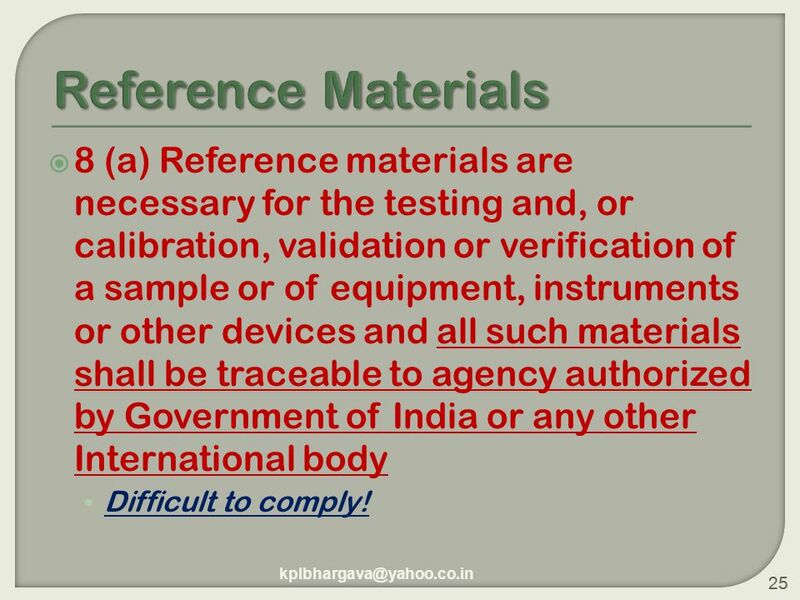 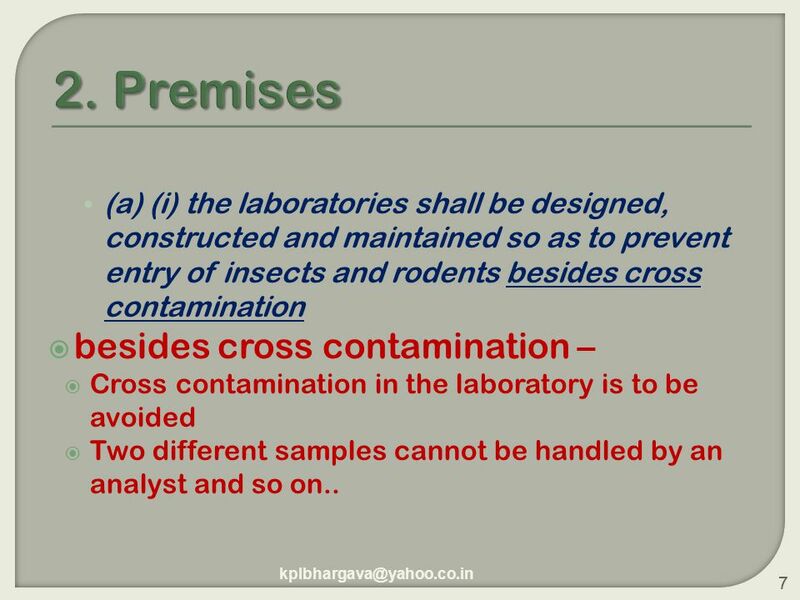 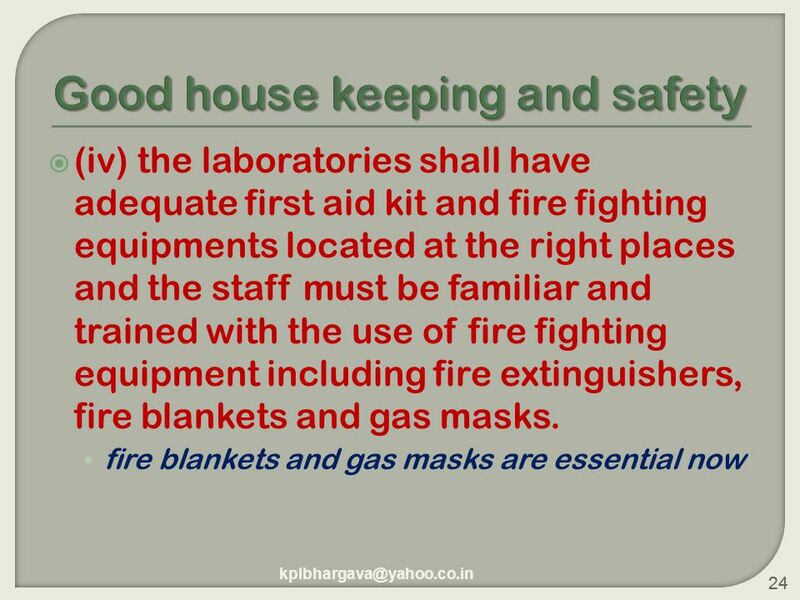 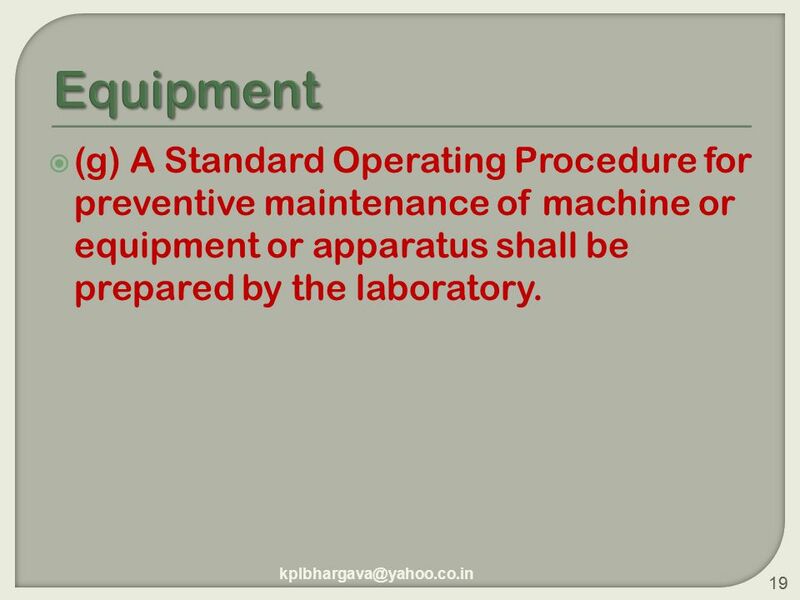 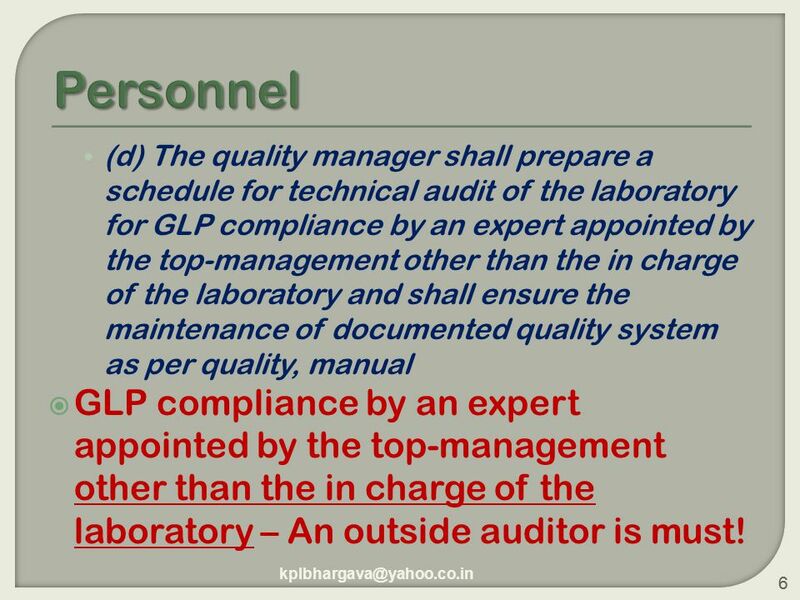 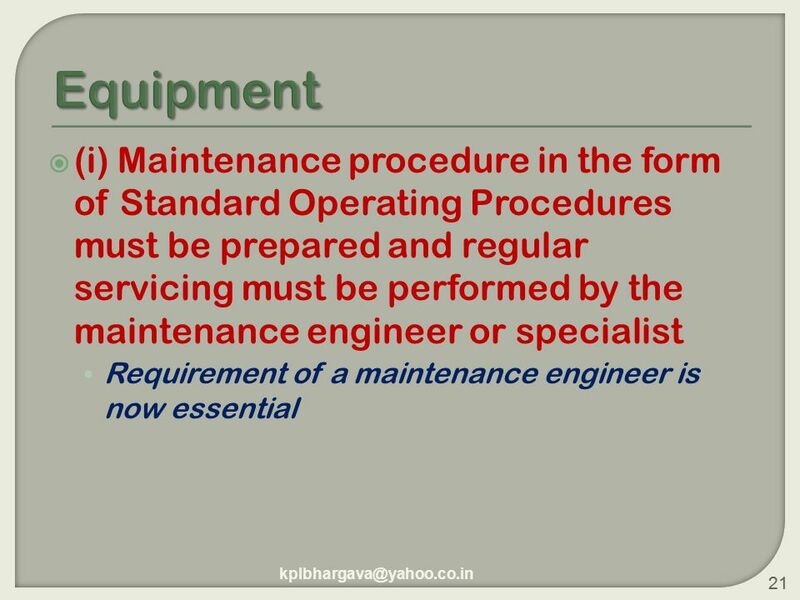 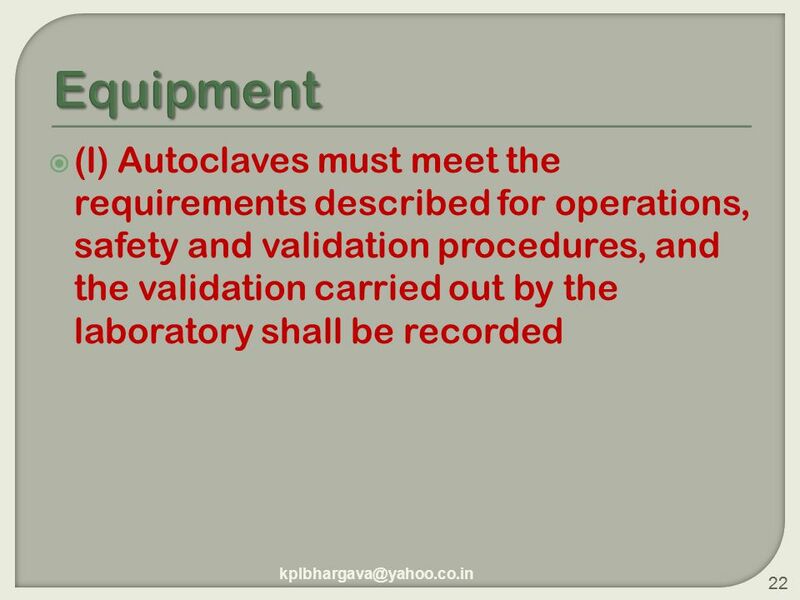 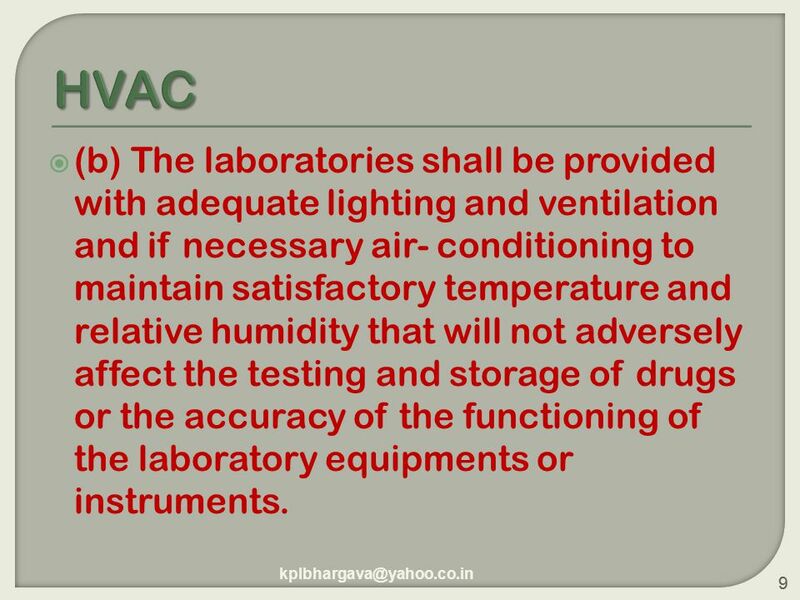 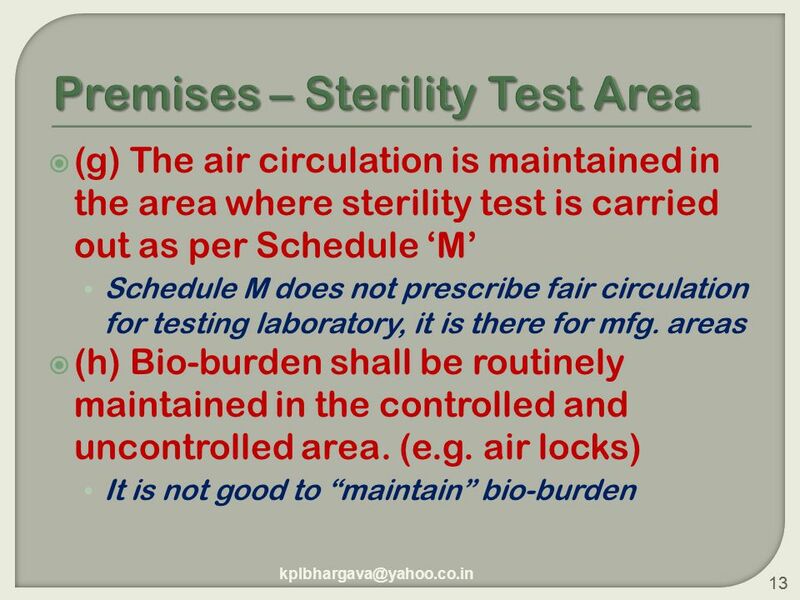 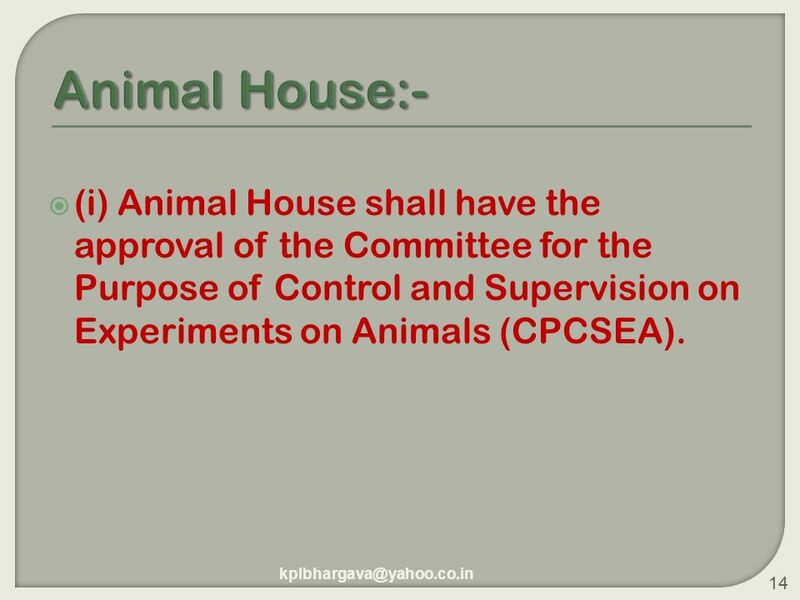 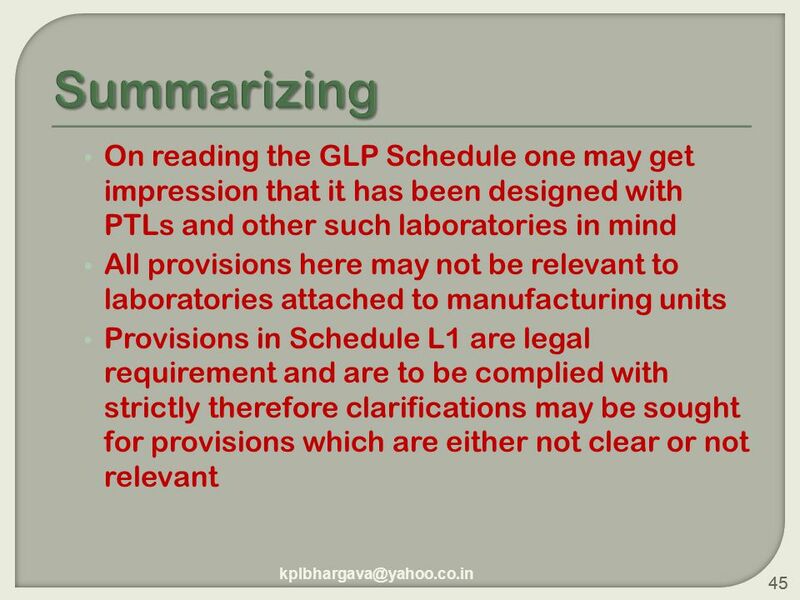 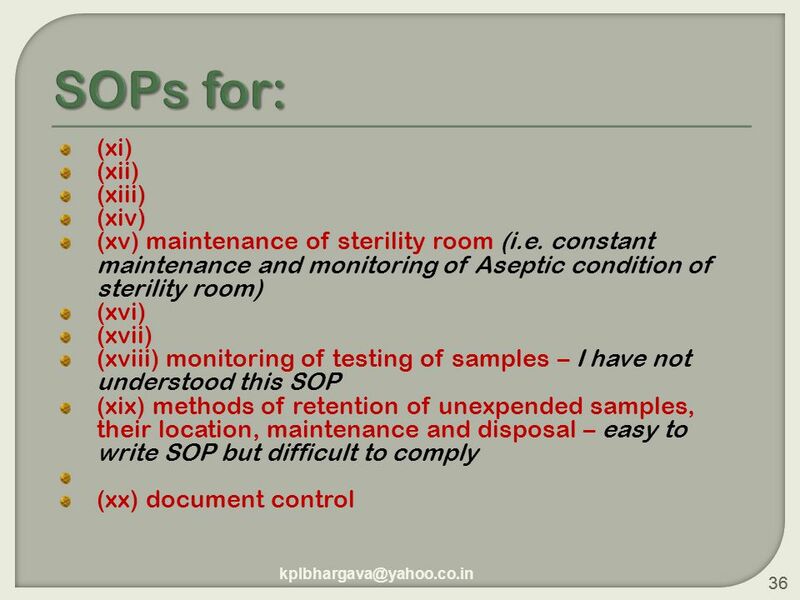 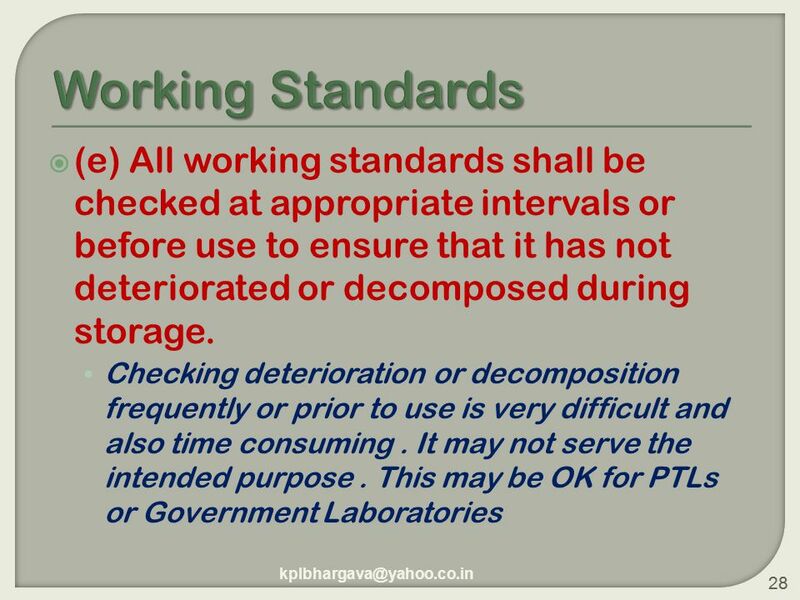 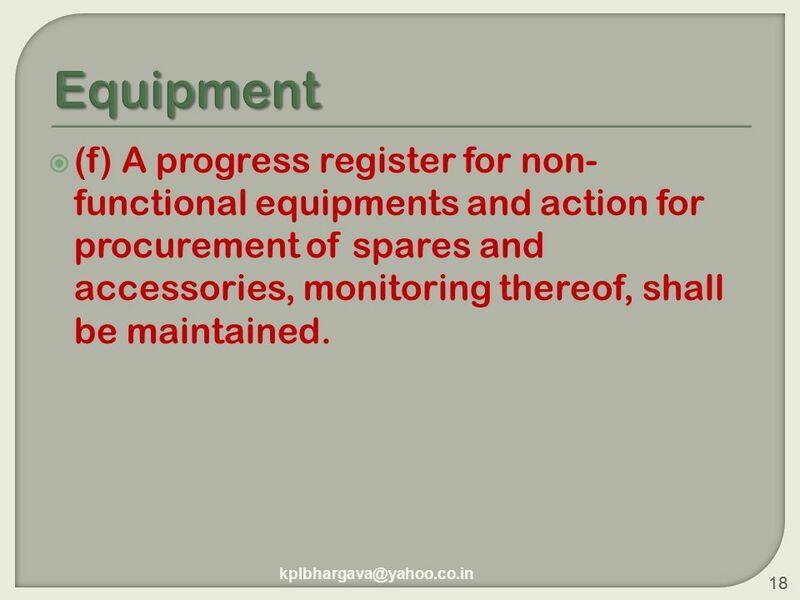 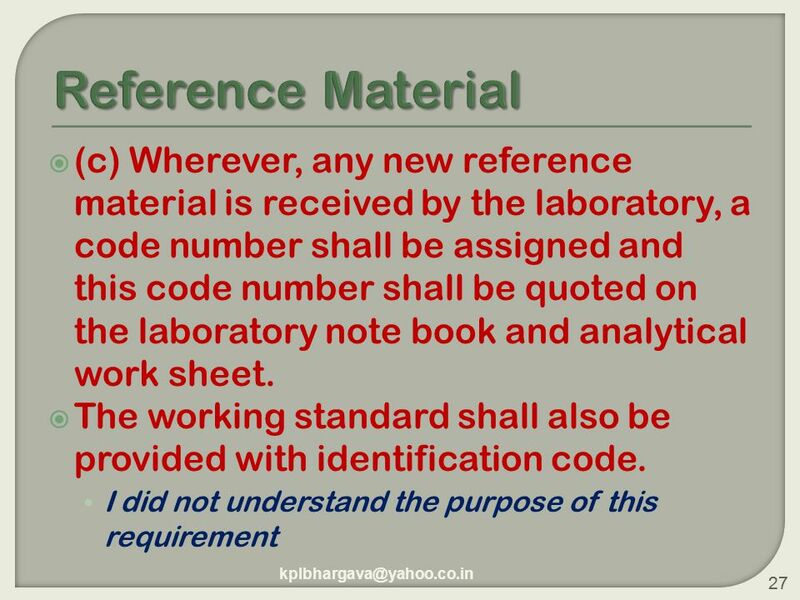 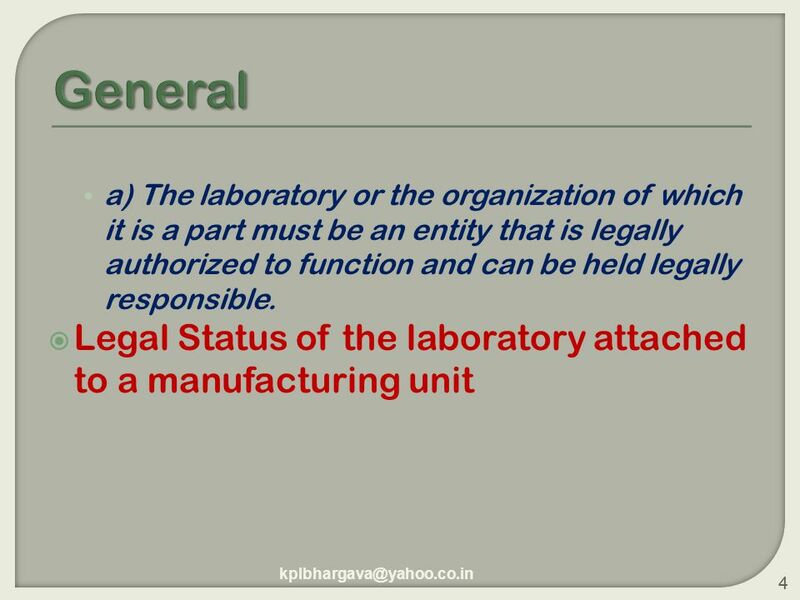 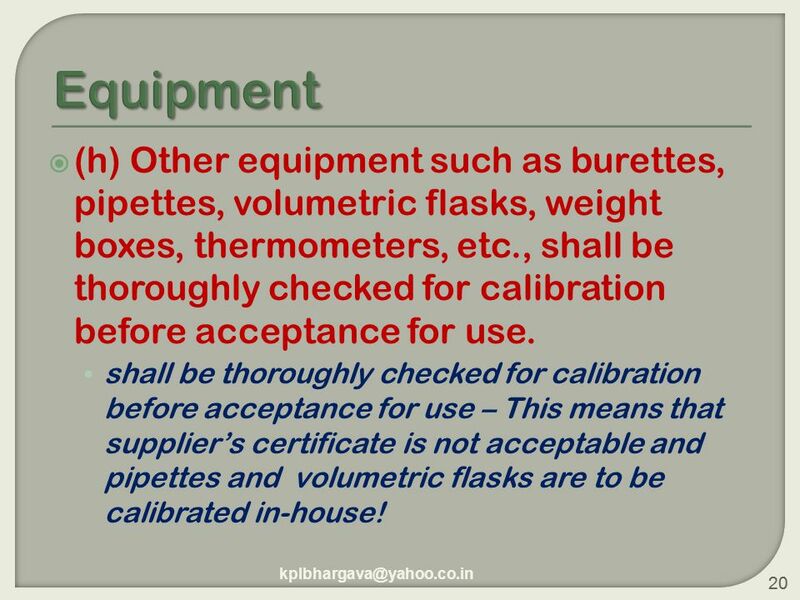 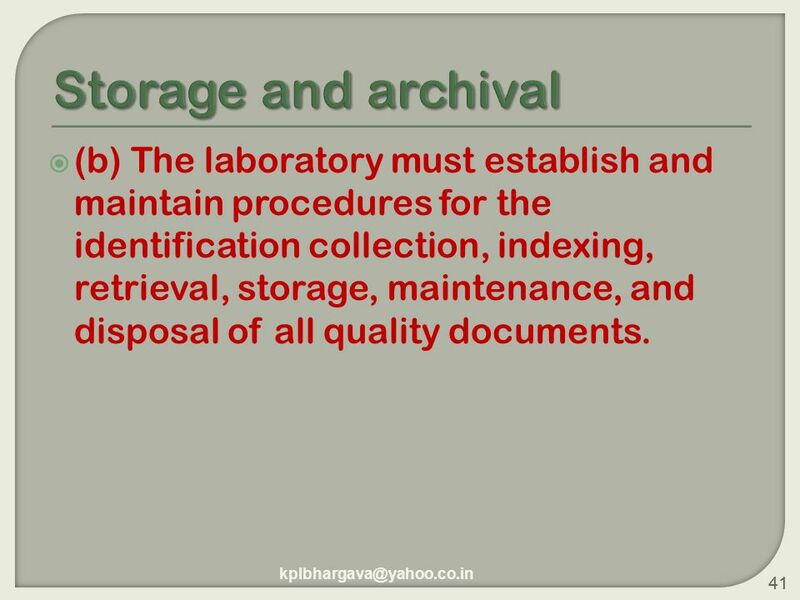 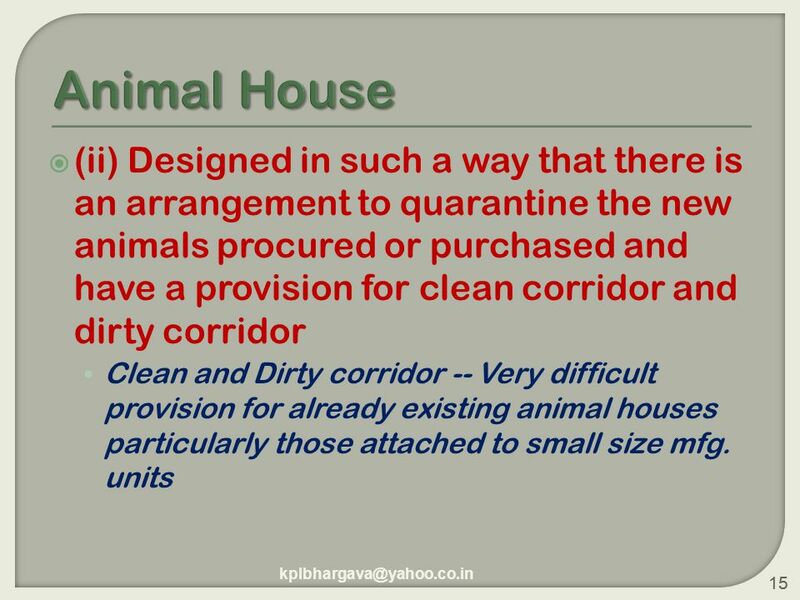 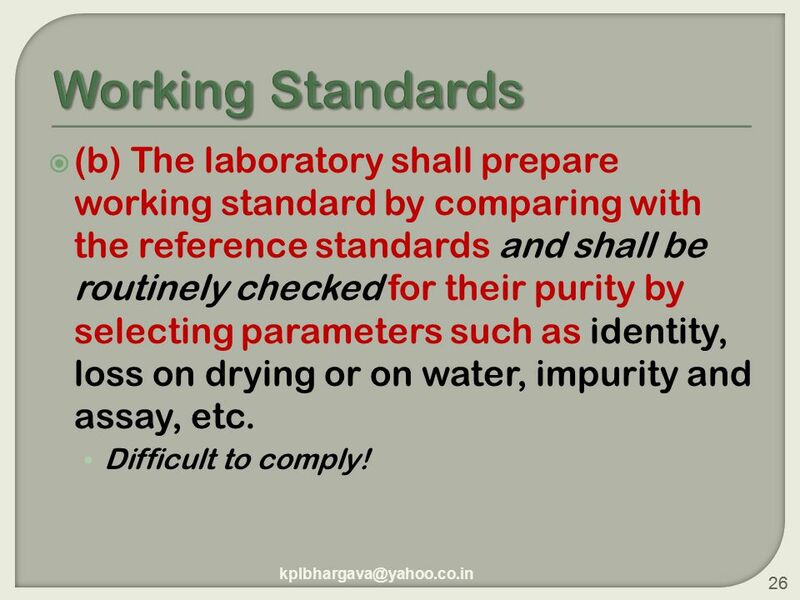 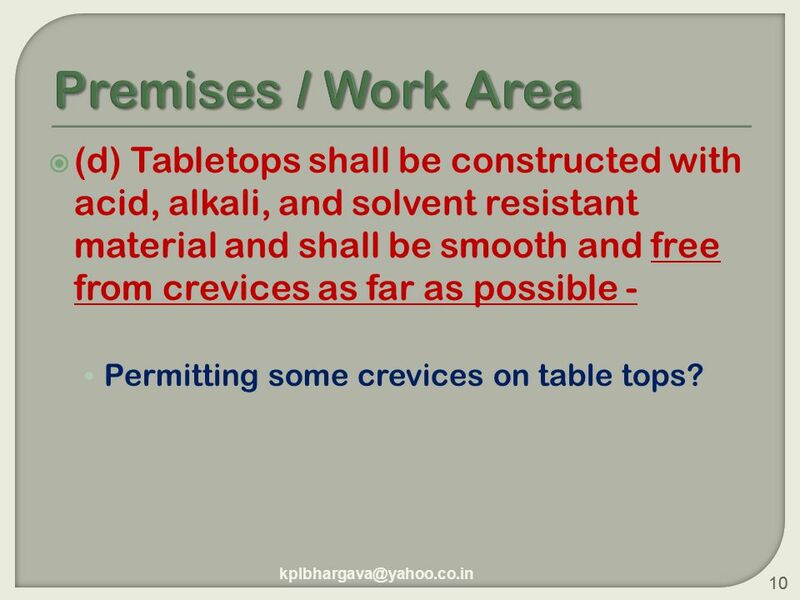 QC | Slide 1 of 21 June 2006 Good Practices for Quality Control Laboratories Part 2: Materials and set-up of equipment, instruments and other devices Supplementary. 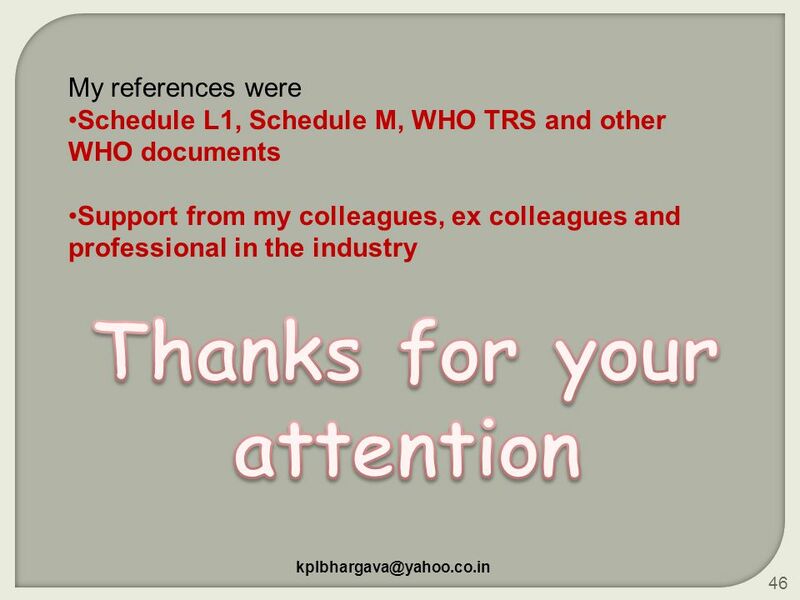 Twinning Project RO2006/IB/EN/09 1 Saxony-Anhalt State Environmental Protection Agency Wolfgang GarcheBukarest Wolfgang Garche Saxony-Anhalt. 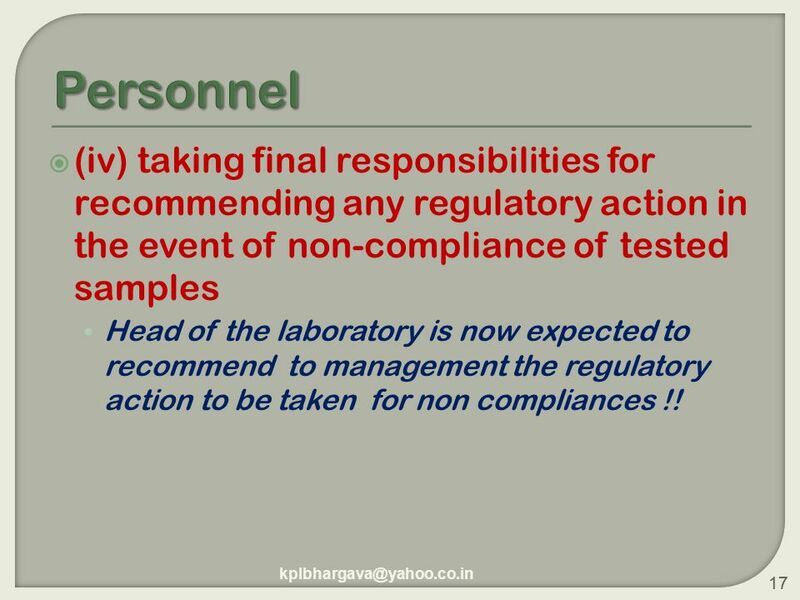 Laboratory Personnel Dr/Ehsan Moahmen Rizk. 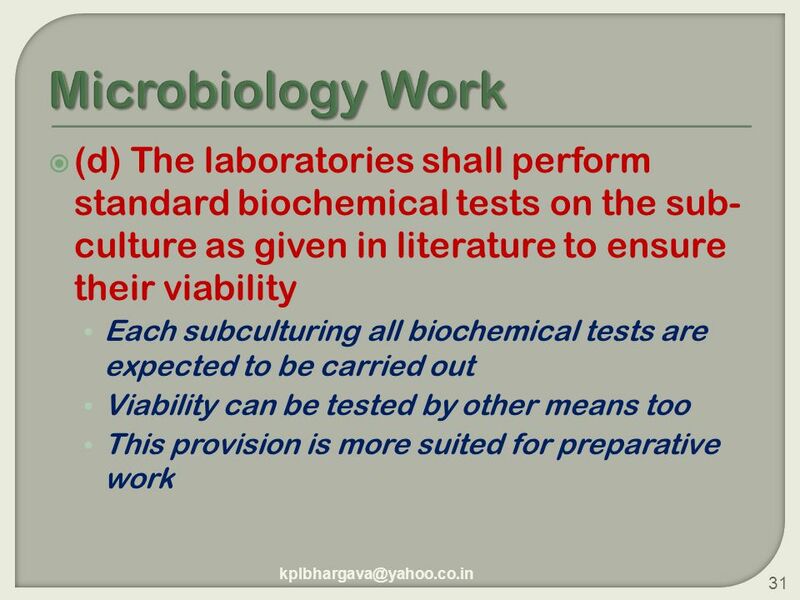 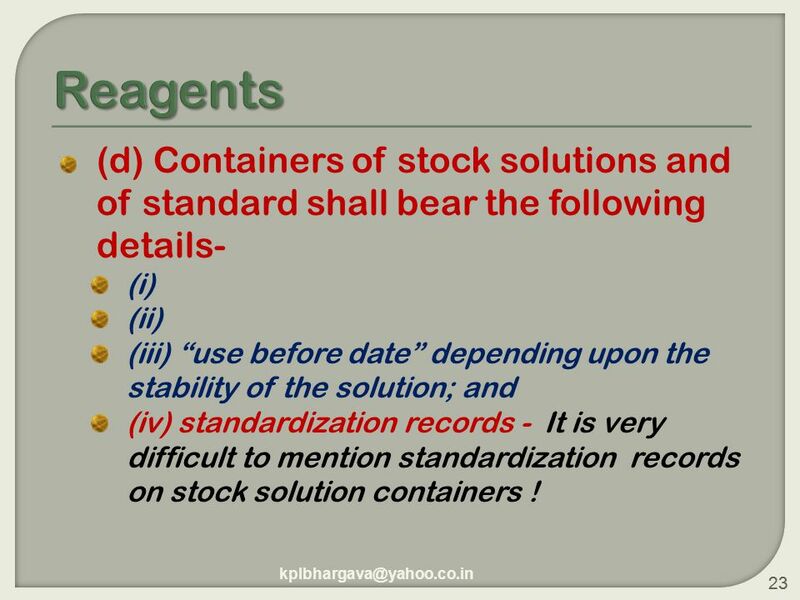 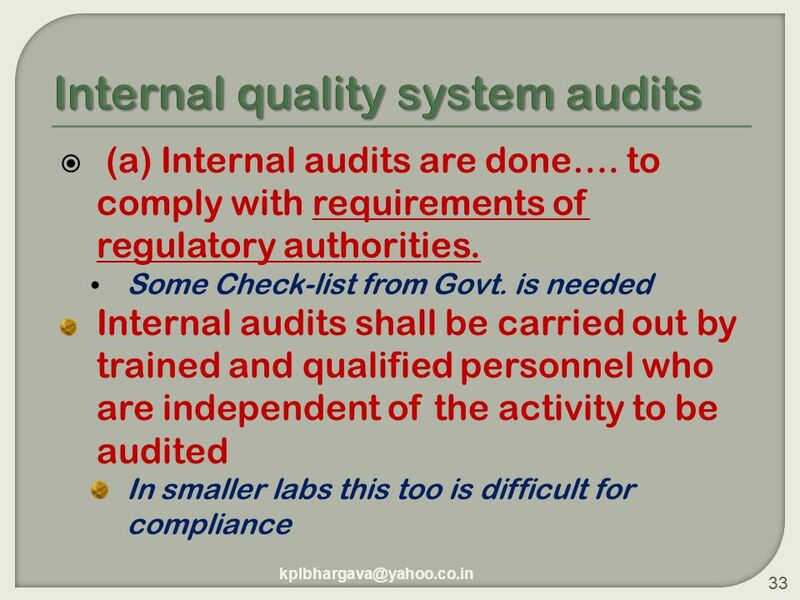 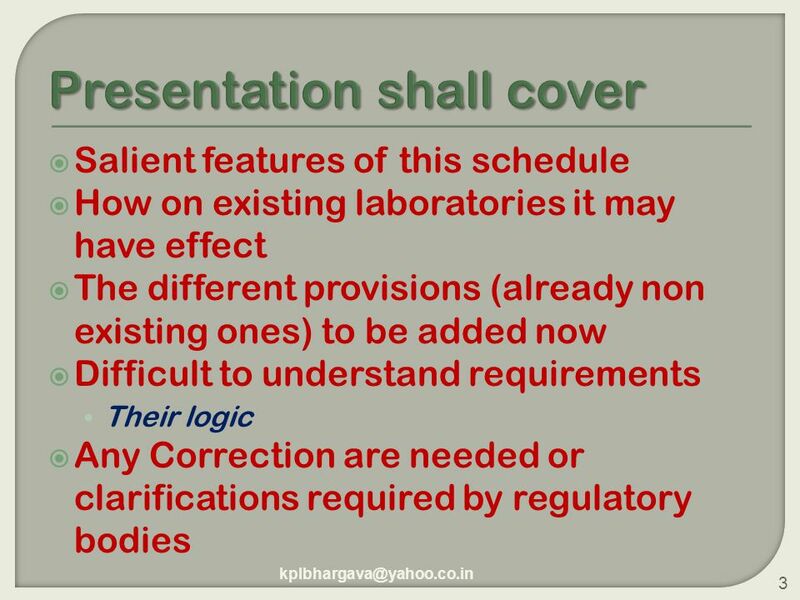 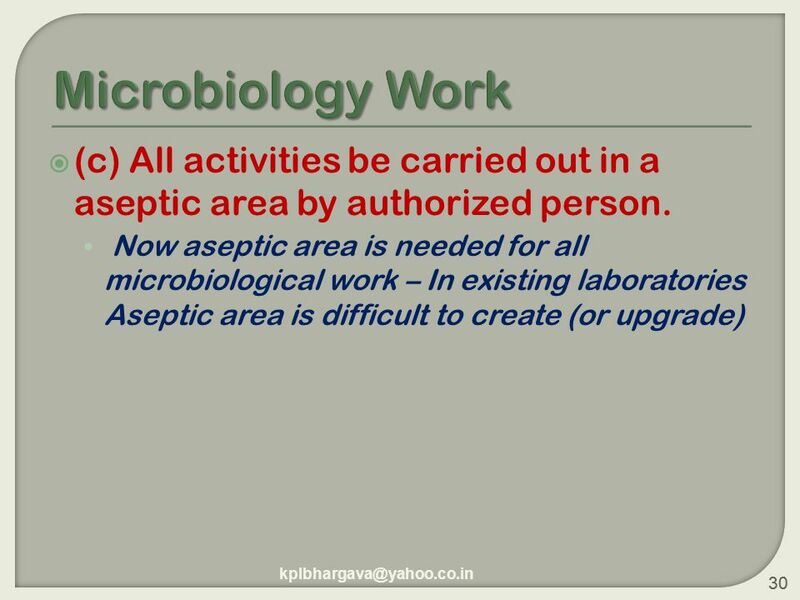 INTERNAL AUDITS OF LABORATORIES Sanjay S Shetgar 1.